My name is Susanne Willekes, a former sleepless mom, the first Dutch certified Gentle Sleep Coach, author of the book Slaap! and amongst others, seen at tv shows RTL Late Night, Shownieuws, Editie NL, newspapers Het Parool, NRC, Volkskrant, radio channels Radio 1, BNR Nieuwsradio and leading lifestyle platform LINDA.nieuws. Being the first Dutch Child Sleep Consultant, I feel lucky to work with so many families to reclaim their restful nights and in many cases, sanity. I’m a mother of three and suffered from acute sleep deprivation with our eldest son. For months I could barely function like a normal human being. 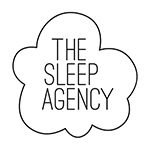 Having tried all possible sleep methods out of sheer desperation, I also became professionally interested and discovered the Gentle Sleep Coach Program. After a law degree and 12 demanding years in sales, marketing and PR, it was time to switch lanes and follow my heart. I made my ultimate childhood dream a reality: working with families and making a difference in people’s lives. I now wake up every day knowing I get to help sleepless families get through one of the toughest challenges of parenthood. It doesn’t get any better than that.